I am a self taught herbalist, I love herbs and herbal teas. I know there medicinal properties of herbs and now that I am studying Hoodoo, I am learning the magical properties. I wanted to try my hand at it to know my magic. I purchased herbs after careful study and perusing the herb-magic site. I have solomon seal root, alkanet, boldo leaf, fumitory, alfalfa, sassafras, thyme, peony root and others. I am considering order a prepared money drawing bag to give me a boost. I plan on getting a whole queen elizabeth root, ginger, cleo may oil, bewitchingoil, and others when I have successful worked my magic. I am going to order a lot. I am writing down scriptures, affirmation, and psalms as well as clearing a space for Money drawing. I have money drawing bath ingredients from Scott Cunningham's book. I read that one should soak love drawing herbs in Florida water before use to bring out the ashe. I wanted to know if herbs must be ground to powder with a mortar and pestle or should I just going to use my coffee grinder because I need to work this money magic during the full moon. I must set up a regimen to fortify my aura with money magnet energy. I was considering formulating a money drawing diet of greens and more greens to enhance the electromagnetic pull of my being on a cellular level. I think 21 days is customary to see results or benefit for a new behavior. Ashe is an African concept meaning the power of nature. Herbs do not need to be soaked in Florida Water; they are powerful as God made them. Scott Cunningham's book is on the subject of Neo-Pagan or Wiccan herb usage and methods. There are some similar and shared usages in hoodoo -- and some differences as well. I agree with Mama Micki, purchase (http://www.luckymojo.com/hoodooherbmagic.html) cat's book Hoodoo Herb and Root Magic; also listed here are excerpts from the book. I'm with the above posters. Hoodoo Herb and Root Magic is the way to go to learn how to work with herbs and roots in *Hoodoo. * Cunningham's book is derived from other traditions. In conjure we use herbs whole, ground up into powders, and in a variety of ways and now we don't need anything other than prayer and the herbs themselves to bring out their power. Thanks you for letting me know that the herbs and prayer are enough. The herb curio text is on my list to purchase as well as a host of other items. I appreciate everyone for replying. Hi I was wondering can just having certain herbs etc in the home effect anyone in the enviroment even if there just their in storage can it have an effect on you or anyone that's around the herb even though Its not actually being used? Some herbs like Basil keeps evil away and bring peace to the home; generally the power of the herbs are used with intent. Your question is like "could i receive norishment or gain weight from having bread in storage in my kitchen?" No, you would have to eat the bread. I have snake sheds, graveyard dirt, sulphur, and insecticidal chalk in my curio cabinet. My luck and spiritual energy have NOT gone to the dogs since I began keeping these things in the house. I think its fine to have your harsher stuff stored inside your home, but if you have a garage or a shed it might be nice to place those ingredients there--not so much because of the vibes but because if you have curious cats, determined dogs, or children they can get into them, make a mess, and possibly eat them (which in some cases is really not good). Keep your poisonous or unsavory things stored out of reach at the very least. I was asking more in a way of saying If theres pepper flakes in a room would there more likely be arguments in that room etc I was talking more on that level nothing like harmful things. 1-have those red pepper flakes been laid for someone? 2-have those red pepper flakes been prayed over? 3-have you asked the Spirit of the red pepper to flare up tempers and enflame communication? It is not likely there would be more arguments in that room. I use red pepper flakes and cayenne pepper on a regular basis in my home cooking. Neither my husband nor I is any more aggressive for that On the contrary, the taste is quite pleasant for both of us. And the kitchen, where I store them, is where we have much of our most engaging conversation. I was just wondering if herbs become less powerful and effective over time? At what point should you just buy new herbs to use, instead of using old ones? If you are at all good at psychometry, let the spirit tell you when your herbs are expired. Otherwise, well, if they are too stale to use in the mundane way (whether cooking or medicine), they are probably too far gone magically. Thanks for your response Miss Michaele, I appreciate it. I wish you a happy holiday season. Hello and thanks to all for making this forum such a great place. I was wondering if anyone could advise me preparing herbs for a mojo. I've read that lodestones, for instance, are baptized in whiskey and dressed with condition oil and/or sexual fluids. Is this to be done for something like Queen Elizabeth Root, as well? Also, could a chunk of Dragons Blood be substituted for Sampson snake root in drawing a dominant male lover? Btw, I've ordered Cat's book but it hasn't arrived yet. Hello, Doctor C, and welcome to the Forum. You can anoint any solid root, and some folks do -- but by no means do all folks. You would do best to use an oil, just to lightly oil it. However, i personally would not do that with Queen Elizabeth Root as its own fragrance is so compelllingly lovely that i would hate to ruin it by adding another scent over it. Dragon's Blood is more lucky and protective than "male dominating." Use John the Conquer Root or Master Root, if you don't want Sampson Snake Root -- although why you would not want it, i don't know, since it is a good, old-timey root and we sell it for only three bucks a pack! Hello Cat, thanks for the response! I just placed my order a few days ago and sadly forgot the Sampson Root. I want to tap into the full moon coming on Wednesday, so I would miss it waiting on the Sampson root. For the mojo, I'm using the Queen Elizabeth Root, lovage root, lodestone, and Q oil for anointing. I have dragon's blood on hand as well as some safflower petals, guinea grains, coriander, and cardamom. So, maybe the dragon's blood can be used for an extra kick and luck? Any other suggestions would be greatly appreciated! Doctor C: That sounds like a lovely Mojo Bag you have cooking up! Keep us posted on how the construction goes for you. In regard to your first question, I always wake up my roots; whisper to them, speak with them, breathe on them, bring them to life! The more you do this the more they will speak to you and your intuition will take over. It takes time, but it will be so worth it in the end. Hoodoo views each natural element as living and breathing with its own spirit. The world is connected and permeated by a world of spirits, natural, alive, and once alive. These spirits often make themselves manifest in a physical property that some can observe from the plant, or root we are working with. For example, Violet Leaves are shaped like hearts therefore they help with matters of the heart. This is called the Doctrine of Signatures. Conjure and other folk-traditions view this as God's purpose for that particular element of His creation. The conjure doctor knows how to call upon that spirit as an ally and get it to work towards a particular purpose. Each of the spiritual qualities are woven together through the knowledge the conjure doctor has on what goes with what and are directed through the will, intent, and prayers of the practitioner. But simply put the "magic" comes from the spirit of what we are working with! Now, while this has been interesting, this is off-topic as it has nothing to do with actual products, but is instead on theory. We'll leave it up for others to read since so many posted, but for now try to stay on topic. what plants in hoodoo are also used in palo monte mayombe, ocha, and ifa? The best way to find that out would be to compare the plant lists in my book "Hoodoo Herb and Root Magic" with whatever sources you have for the various African and African Diasporic religions you just named. There are definitely some overlaps -- and some also overlap with usages in European folk magic and Native American folk magic. Hello. I have a tendency to move my herbs and roots around, from bags to bottles and back again, the label sometimes falls off, or if I wrote it by hand smears off. I have some herbs WHICH I MOST LIKELY PURCHASED FROM LUCKYMOJO (The only reason I can't say with 100% surety is because the label is now missing). Since I paid for them, I would like to use them but can't remember what kind of herb it is. I have a photograph. If anyone would like to take a crack at naming the herb I can send it to you in a private message since we aren't allowed to post links here. As I have already asked about "charging" Items (herbs, roots, minerals), and got my answer (which makes much more sense to me than "CHARGING" your own power into an already naturally charged item)., I was wondering..
Would it make sense to say that you would be more "awakening" or "arousing" the herbs natural power by prayer or speaking directly to the item. And since many herbs, etc. have diffrent uses, you would also direct the power to that specific alleged use ? It seems to make sense to me, what do you all think? What you're saying makes sense. You are working with the Spirit of the herb, root or curio itself and telling it what it's job is in the work you're doing. In the case of a mojo or other container spell, the sum of those parts, being told what to do and how to ''play nice'' together, is greater than their individual addition as they make together a stronger and more unified whole working to a specific, clear aim. Hello, I checked the Lucky Mojo catalog and you all do sell Black dog hair. In the description it says "For black arts work or break up spells". 1) Would it be correct to use black dog hair in a "bend me over" conjure I want to work on someone? (My idea is I want them to follow me around like a puppy dog). 2) Or when the catalog said Black arts in the description does it mean black dog hair is for making someone "as sick as a dog" ? 3) My next question, besides black, are there any other colors of animals that conjures can use? Like a Red Cardinal's feather in a conjure to give love the ability to fly quickly to me- etc? Any views would be most appreciated! 1) That's be okay. It need not be black for that purpose, just from a friendly and biddable dog. 3) Certains birds and animals have symbolism in hoodoo, others do not. 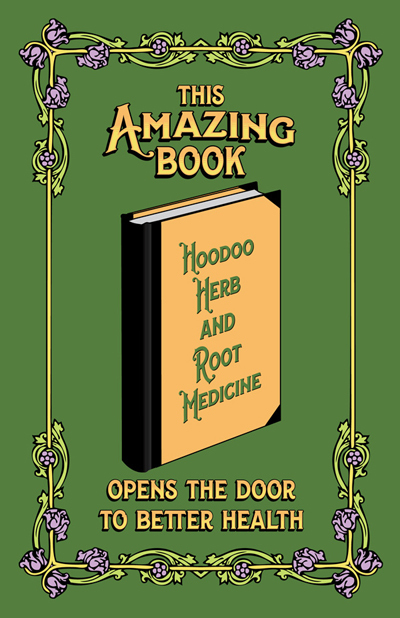 Start by looking through "Hoodoo Herb and Rot Magic." Most often the use is determined by the anmial's behaviour, not its colour. For instance, Parrot feathers pf any colour are used to make people talk. I been studying and reading Hoodoo herb and root magic, I would like to know what herbs I can use to open the pineal gland ? If anyone can assist it will be deeply appreciated. Great question. I too am interesting in opening my pineal gland. Open the book to page 209 and you will find the listing for all of the herbs of use to you in all psychic and divinatory work. With careful experimenting you will find that some of these resonate more with you than others will. Hi I'd like to know if Love Herbs Mixture be good to use in a honey jar. It's listed as great for floor washes, spiritual baths, or a mojo bag, but it also seems like a good product to use in a love-drawing honey jar. That being said, if you intend to cook with the honey from the jar at some point - you may want to choose individual love herbs since the love herbs mix are dressed with a fabulous combination of love oils (boy they pack a punch...). I used to keep my bones and roots in a box but found my Angelica root riddled with small holes and beetles merrily traipsing over it. I threw my herbs (Angelica, Lucky Hand, Bat Nut, Jezebel root, Orris root, nutmeg, and Master Root) into a zip top plastic bag then placed them into the freezer to kill whatever was still living in there. After a week I took them out and I noticed a few weeks later still more small brown circular beetles. I am at my wits end. I've grown together with these roots and separating them/keeping them in the freezer in a plastic bag between readings just does not sit well with me. I don't know what to do. Aside from buying entirely new roots and sealing them hermetically some how I am at a loss. Any help would be greatly appreciated. Thank you. That unfortunately doesn't sound good. My advice to you is to buy new ones. We don't know what type of energies (and bacteria) the herbs and roots have infested your; "crop". To avoid this in the future, have plenty of bay leaves around. Insects HATE bay leaf. And I keep mine in a dry place with a stable temperature. I'm so sorry that tis happened to you. Depending on the texture and fibrousness or woodiness of the herbs and roots, you may crush them between your hands; roll them under a rolling pin; use a wooden, stone, or iron mortar and pestle; or grind them in an electric grinder. Be sure to reserve these tools for non-food usage, as some herbs and roots used in magic are toxic when ingested. I can't speak for others who will also no doubt have excellent advice for you, but I've never cleansed any of my herbs or candles prior to use and have never had any difficulty with my spell-work. It's not common practice in hoodoo to cleanse herbs - even candles and altar-tools are not systematically cleansed by all workers. Like the earlier posters in this thread who wanted to know how to "prepare" herbs by soaking them in Florida Water Cologne, or asked what to "chant" over them, or how to "charge" them, or how to "cleanse" them, or how to "awaken" them, or how to deal with their "ashe" -- you are not yet understanding hoodoo. * It may be that you have come to the practice of hoodoo from another culture's form of folk-magic and that you are under the impression that the other culture's ways are used in hoodoo -- but the practices are not necessarily similar or the same. * It may be that in these internet days, when many new texts are being published that claim to represent African American hoodoo, you may have been exposed to these ideas through a fictionalized or fabricated source which is inauthentic. Either way, it's not your fault, but we do have to correct you, and you do need to understand us. This forum is not about worldwide folk magic theories and ways of working. It is only about hoodoo, African American folk magic. In hoodoo there is no institutionalized way to engage a "process of awakening/honoring herbs before use" and there is no requirement that they should also be "spiritually cleansed" before use. What there is instead is a tradition of praying Biblical verses or extemporaneous prayers over the herbs as they are combined for use. 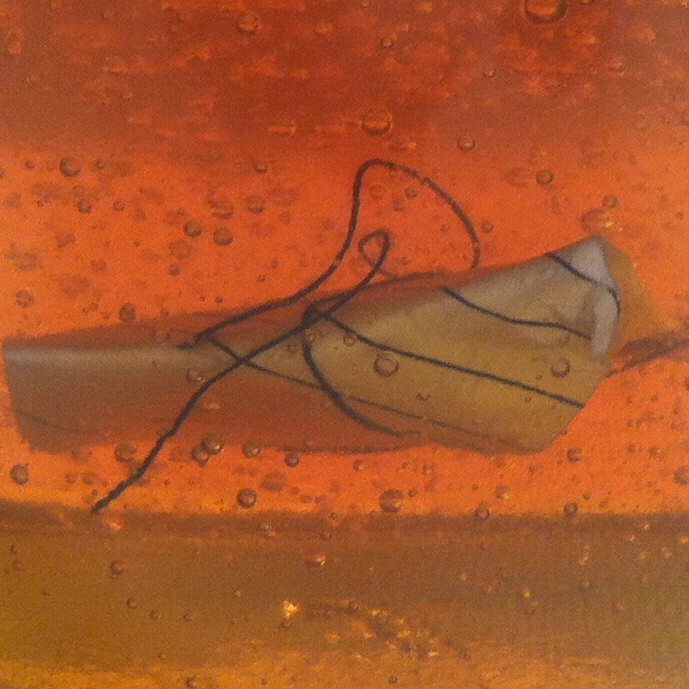 Lodestones may be baptized in whiskey, but they are minerals; herbs and roots are not placed into liquids unless one is making a tincture or a tea. "Hoodoo Herb and Root Magic"
"The idea that hoodoo is a "freestyle" way of working is a common misconception on the internet. Ultimately, its origination may have been among outsiders to black culture who want to subtly "possess" hoodoo. Such people may think that by blowing hoodoo's constraints and stylistic nuances apart into chaos, they can claim the remnant fractions as their own, but they are likely to be sadly disappointed when hoodoo's authentic culture-bearers laugh in their faces and refuse to accept their novel rearrangements of a well-known or traditional conjure trick." So keep asking questions, lousydowser -- but do not be surprised if, while you are learning, somone like me or one of the moderators here tells you that the query is based upon a false embedded premise. WE mean no harm and only want to help. Thank you for making time to answer my question! I appreciate the tips and clarification! I actually already own your herb book and I've read through those links before. I do try and only read primary sources and/or books/blogs etc by AIRR members and not just anything on the internet. I hadn't read a single thing about cleansing herbs but I do see a lot of reference to spiritual washes/washing of people, places and sometimes other items such as tools which is why I thought I would ask for clarification about herbs. Sorry I misused the term "awaken" as well; in the "Black Folder," and elsewhere, I have seen mention of the contents of a mojo bag being "breathed to life" which I interpreted as "awaken". I have a question. I have a little small like copper bucket in a cup holder of my truck. And I was wondering if I can use it as a helping hand or some form of rootwork. I put cinnamon, nutmeg, Allspice, ginger, basil, fennel seeds, garlic, marjoram, sage, cloves, and yellow mustard seeds in it already. I cut some of my hair, and wrapped it in a piece of paper that has three wishes on it, but I haven't put it in the bucket yet. I was thinking about putting a cloth on top of it after I put the paper in to seal it. 1) Can I use it as a helping hand? 2) What else can I do to make it work? 3) Is it ok for people to see it? Your questions are difficult to answer. What type of spell is this? What is your intention? I am sorry for the confusion. Those herbs I put inside the little bucket I have read are for money drawing,protection,law keep away and the Sage for wisdom. I was asking. Can I use the bucket for hoodoo work? and even though it's in my truck. Will it be affect if people see it? Yes, you can use a bucket. And you can put personal items in it also. BUT I personally don't like anyone seeing my spells. Oh no Miss Aida, I was thinking about roots that customers may have held onto for too long. Not sure how long "too long" is, in which case, should we assume that lack of smell means a root needs to be replaced or fed in some way? I was just wanting to ask advice on herbs and roots. Can Galangal be used in place of John the Conqueror root? On the topic of herbal/plant spoilage, I would like to point out that when some very ancient Egyptian tombs were opened, jars of wheat and corn were found that were still viable after 3500 years. In other words, if you planted then seed, it would still grow. They were still "alive." Therefore, it seems if you protect a plant artifact from air and moisture its shelf-life may be well-nigh infinite. The key point is to keep it dry and sealed as air-tight as possible. I had a reading with Conjureman Ali and I was given the green light for reconciliation work, my issue is- my target (my ex) is extremely angry with me and doing his best to put me out of his life forever. I will be making a doll baby out of his boxers and wanted to what herbs, grasses etc would work best? I am looking to instill love while also healing the wound I cause and allowing for forgiveness, I want to fill the doll baby with these, as well as look for oils to anoint skull candles. Which herbs, roots and curios work best for love? I'm sorry you are going through this, I've been there and i know how bad it can hurt. I love love love the LM reconcilation spell kit and all its products. The oil and herbs smell amazing. It comes with everything you need to get it started. You basically do the spell kit with the candles, with left over material make a mojo and send them a dressed letter. Of course they probably wont respond right away and thats ok, the trick was getting the letter dressed with powders and herbs on them. A rec honey jar is a great additive to make him more sweet. I would have an AIRR worker set rec candles for you along with a healing candle and you burn your honey jar rec candles mon-wed-fr. Use pslams 42 to reconcile with a person. Thanks! I already sent a reconciliation letter (followed Dr. E'sblog). I am now focused on what I would stuff a doll baby with and dress candles with, I have started a honey jar. I like to dress my candles in oils that tell the story, cat has a phrase for this but I cant remember what she calls it. Like i would dress the candle with come to me oil, rec oil and a love oil that fits as it tells the story. I would double dress it as well by sprinkling lm powders on the candle or rolling it in the powder. LM sells the 9 herbs plus 9 love oils mix that sounds like a great doll filler to me. Thanks so much! The 9 blend is PERFECT.